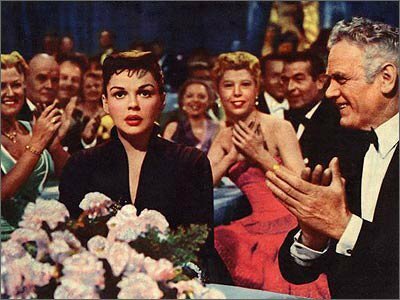 This is one of Judy Garland's last films. It's supposed to be good, but seeing her as she got older (and she still wasn't very old at all!) is a bit uncomfortable because it's like her rough lifestyle really started to have an impact on her. I saw a tiny part of this one on TCM once, but that's it. I see the title of this one quite often, but I had no idea what it was about until I looked it up on Netflix. It looks interesting, and I'm turning into a Greer Garson fan. Plus I enjoy WWII stories. I like Fred Astaire and Cyd Charisse, so I'm not sure why I haven't seen this one yet. I mostly want to watch this for Frank Sinatra. But I've never seen a Marlon Brando film, and as a classic movie fan, that's something that I probably need to remedy. Here are a few others that come to mind: From Here to Eternity, Lawrence of Arabia, The Ghost and Mrs. Muir, Cleopatra, Cleopatra, The Mummy, The Blob, The Invisible Man, Dracula (I want to see the best classic monster movies, could you tell? :) The Barkleys of Broadway, Stalag 17, Love in the Afternoon, A Face in the Crowd, and Hello, Dolly!, and a bunch of classic Westerns (mostly Jimmy Stewart and John Wayne) that I have on VHS but haven't watched. What are some famous classic movies that you haven't been able to watch yet? I haven't seen barely any of those movies either. Let's see, my list would include The King and I, Funny Face, West Side Story, and Seven Brides for Seven Brothers. If you had posted this last week I would have been able to add The Wizard of Oz, but I finally saw it! I'm enjoying Classic Movie May so much! I'm sorry I couldn't find time to join in, but just following along was so much fun. You did such an amazing job on this event, Kristin! Annie Get Your Gun was the musical my high school put on...let's see, my junior year (I worked backstage). It's a fun show and the film is SO interesting (especially when you watch the clips Judy Garland filmed before she was replaced by Hutton). The Ghost and Mrs. Muir is also another personal favorite and the original Mummy is great as well. Fort Apache is a good John Wayne western to start with. He's a side character to Shirley Temple and Henry Fonda but it has been awhile since I watched it last.But any John Wayne/Maureen O'Hara movie is good. AMC rotates them regularly. 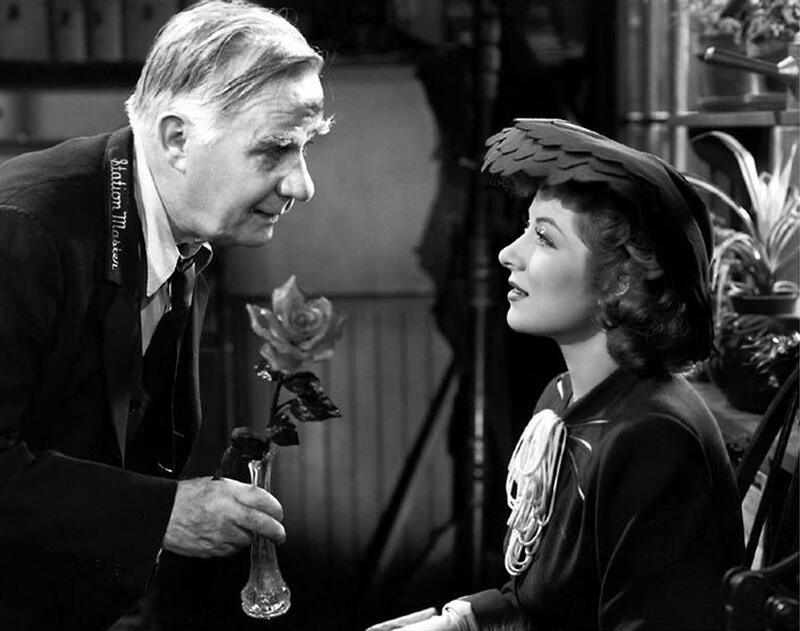 I have not seen any of these either (except for Mrs Miniver). 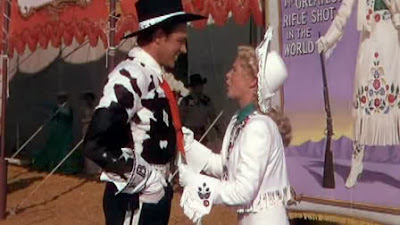 I did see Annie Get Your Gun on stage, though.